Think of Your Startup Like a Pepperoni Pizza -- Use a Simple Recipe for Success. We have a celebrity fascination with entrepreneurs. We see the faces and names of success printed on magazine covers, discussed in news cycles and revered on social media, making entrepreneurship intimidating and difficult to measure up to. The perceived need for the next idea to lead a multi-million-dollar seed round or billion-dollar initial public offering (IPO) has become our measure of success, causing many aspiring, first-time entrepreneurs to forgo starting at all. The truth is that most small businesses are not the startup unicorns we all see. They all started, by any measure, as small fledgling startups, often by entrepreneurs who understand simply that the formula for starting a new business is actually quite simple -- like a pepperoni pizza. In fact, with the recipe in hand and a healthy dose of ambition and passion, you too can get started on your entrepreneurial aspirations. 1. All pepperoni pizzas have the same basic ingredients and cooking instructions. Unless you and your team have created the next ground-breaking algorithm or technology that will fundamentally change the way people think, act or conduct business, you really are creating nothing more than just another business. That is not a slight on you, your team or your idea, since the vast majority of startups are in your same situation. All it means is that if you know the ingredients -- a need, a potential solution to that need and a system and strategy through which to deliver that solution -- then to get started, all you do is combine, mix and cook at 400 degrees for 30 minutes. 2. Not everyone likes pepperoni pizza. 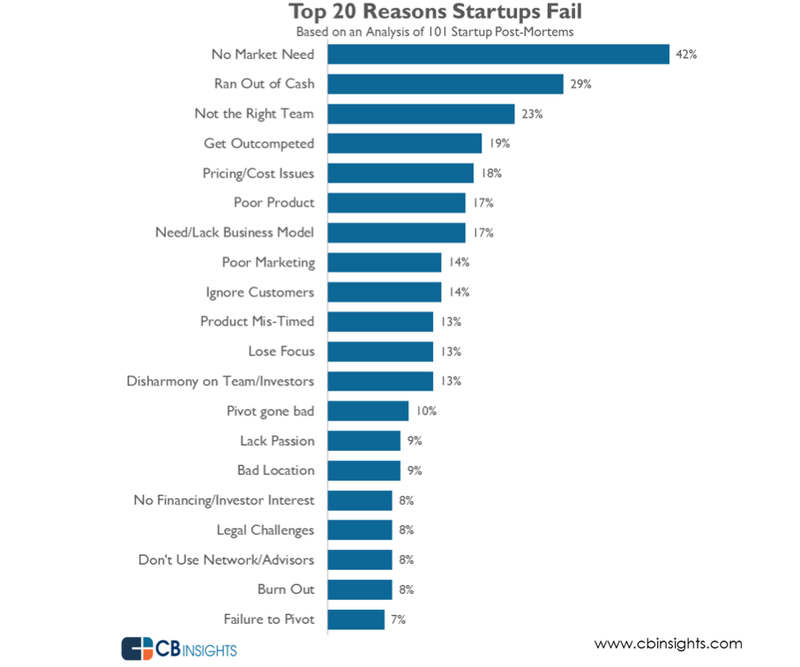 Many entrepreneurs endeavor (and fail) without ever testing their idea or even determining if there is a need for it. Instead, many entrepreneurs simply project their own needs and beliefs to the greater market, creating a perpetual and downward spiral as they get locked into an idea. If you want to know if people need another pepperoni pizza recipe, start by validating yours first. 3. You need to differentiate your pepperoni pizza. Since the basic elements of a startup are the same, success comes down to differentiation. While differentiation can come in many forms, start by considering the three elements of the project management triangle -- price, quality, speed -- which can easily be applied to most startups. Choose one of these three elements upon which to differentiate your business and focus startup resources (lowest price, highest quality or fastest speed). Be sure to examine the market and existing competition carefully and determine where your "wiggle room" may be. Once you see an opportunity or niche, focus on exploiting it. Dominos Pizza provides a good example. Over 20 years ago, in order to compete in the highly competitive pizza industry, Dominos started offering an "Under 30 Guarantee", which guaranteed delivery of your pizza in 30 minutes or it was free. The company shifted from competing on price, which most companies were doing, to competing on speed. It was an aggressive and effective strategy that helped it become one of the largest pizza companies in the U.S.
4. Your pepperoni pizza still needs to taste great. Even if you have developed a secret recipe to differentiate your startup from others, you still need to make a really good product. All the planning and consideration is worthless if you cannot deliver a product that works, satisfies its purpose and ultimately pleases its customers. Like pepperoni pizza, startup entrepreneurs need to always keep an eye on their core business idea to make sure it stays consistent with its original recipe and purpose. 5. You really need to be passionate about pepperoni pizza. Making pepperoni pizza for a living is not easy. It requires long hours and grueling effort that will leave the unrelenting stink of marinara sauce in your clothes. Success goes beyond a recipe and execution -- it comes down to passion, dedication and perseverance. The same can be said with entrepreneurship. When you begin, you will live and breathe your business, each and every day. It will consume your life, and be the source of your restless nights and a great many uncomfortable conversations. And while you many not have the smell of marinara sauce in your clothes, you can be sure it will be replaced with the permanent scent of your own blood, sweat and tears. Startup success ultimately comes down to entrepreneurs' ability to manage the stress and balance it with their sanity. It requires they find confidence and comfort in the beauty of the journey rather than the destination. Once they master these elements, however, endeavoring into entrepreneurship and startup businesses will become as easy and enjoyable as making a pepperoni pizza.